Caramel is a shared journal that consists of the learning process of existing in the ‘in-between’ of polar opposite cultures; a series of thoughts and conversations between two sisters who are struggling with belonging, dual-identities, acceptance, sexuality, secrecy, growth and much more. The 52 page risograph publication takes you on a journey with two sisters learning to adapt in the western society and evolve. 2017 marks 10 year anniversary of the Khan & Sardar family immigrating from Nowshera, Pakistan to Rochdale, England. 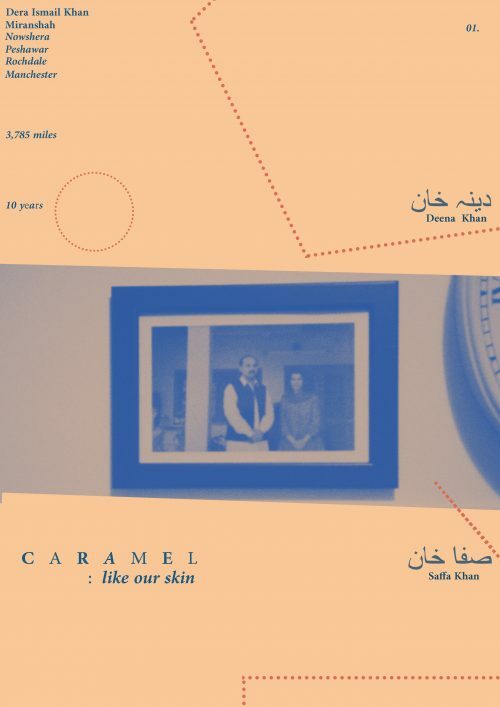 A new issue of Caramel will be released every five years. In response to Sharmeen Obaid-Chinoy’s HOME1947 for Manchester International Festival. Inspired by our great grandmother who documented her struggles when being separated from her family on the partition of India & Pakistan in 1947. Grab a copy here. Every copy comes with a code to a secret live stream discussion of the book.